But there was a lot to gain from this exposure. Visitors from all around the world trek to the mountaintop to ride the swing, enjoy picnics and leave notes in the tree house guest log. The variety of languages in the logbooks speak of how far and wide the swing’s fame has travelled. There are messages in Spanish, English, German, Chinese, Japanese and Arabic. To date, Carlos has ten books filled to the brim. 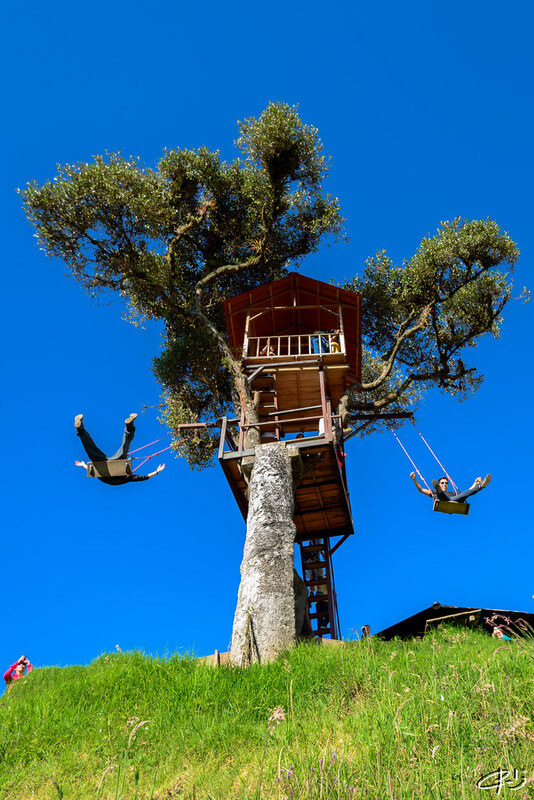 In less than five years, the mountainside has developed into a swing-riding haven, with similar attractions dotting the hillside. 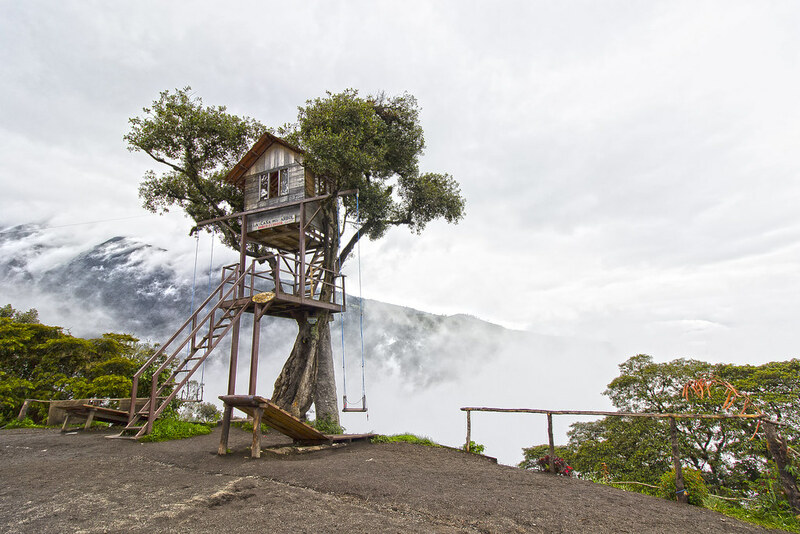 But Carlos Sanchez’s Casa del Arbol, or “the Tree House”, sitting right at the top of the mountain is still the best. And the view is gorgeous. On a good, cloudless day, one can get a clear view of the active Tungarahua volcano, which means “throat of fire” in the native Quechua language of the Andes. The media has given different names to the swing. 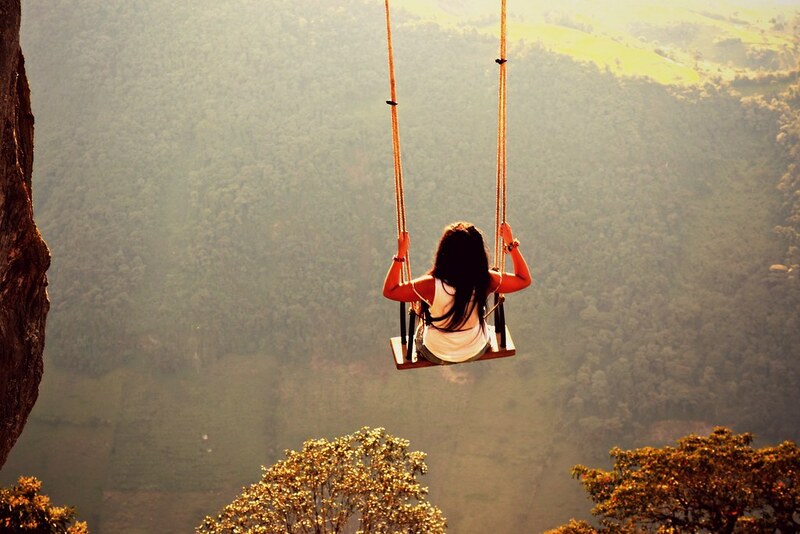 “The swing at the edge of the world”, and “the swing of death” are the most common. 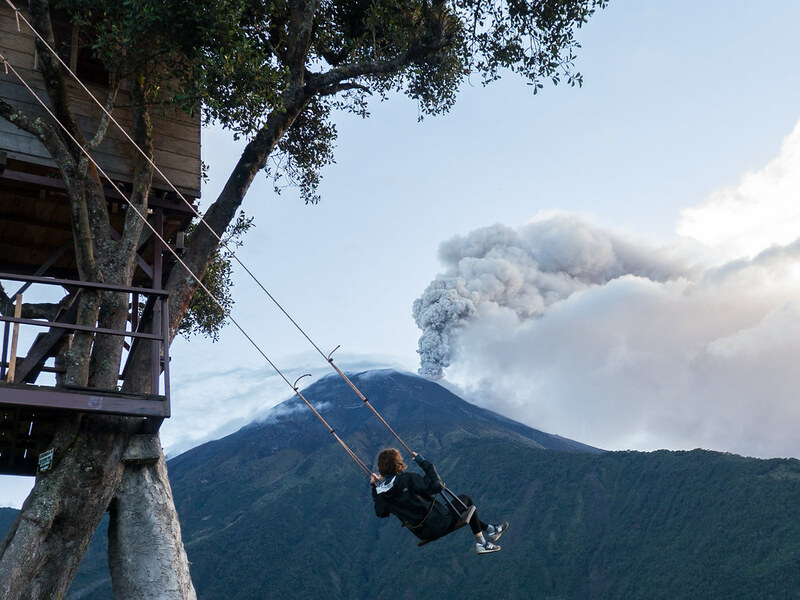 Although it appears to hang over a dangerous cliff, the swing actually hangs over a steep slope that rolls down a distance of about 100 vertical feet. Still, you don’t want to fall off that thing. 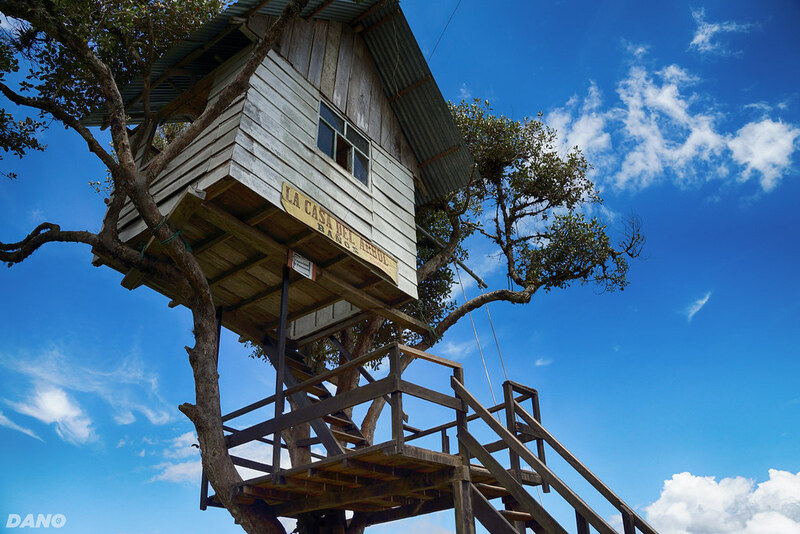 Originally there was only one swing on the tree house, and it hung from a branch. Now out of safety concern, a steel beam was added from which the swing hangs now. A second swing was added as well. There is also a rudimentary seat belt now.